Sam Faiers proudly took to Instagram to show off how she was celebrating Rosie’s first birthday. If you were left feeling inspired by the party and gifts Sam showered little Rosie with, you might be wondering how you can recreate the magic for your own children. Several people commented on Sam’s post gushing over how adorable Rosie looked next to her huge doll’s house and asked where they can get one too. Sam very usefully tagged the brand as The Dolls’ House Workshop and after a quick snoop on the website it’s easy to find the model Rosie has, which is called the Ash House. Described as a ‘gracious Georgian house’ with three storeys and nine rooms, the wooden house has very pretty front porch and opens from the roof or front. However, if you were hoping to grab one the price might make you reconsider as it costs between £120 and £279, depending on the exact model. Plus, you might want to reassess buying it for your little one to play with as it is ‘not a toy’ according to the website. If you’re still feeling inspired by the wooden house but want something more practical and budget friendly, Aldi are here to save the day. 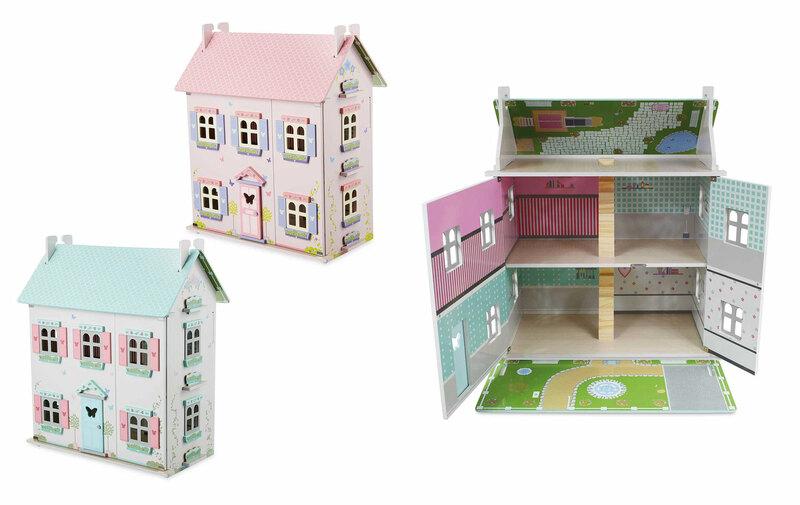 The discount supermarket has launched some fantastic wooden toys this year including a doll’s house. Aldi’s wooden doll’s house has featured in our top Christmas toys list for 2018! 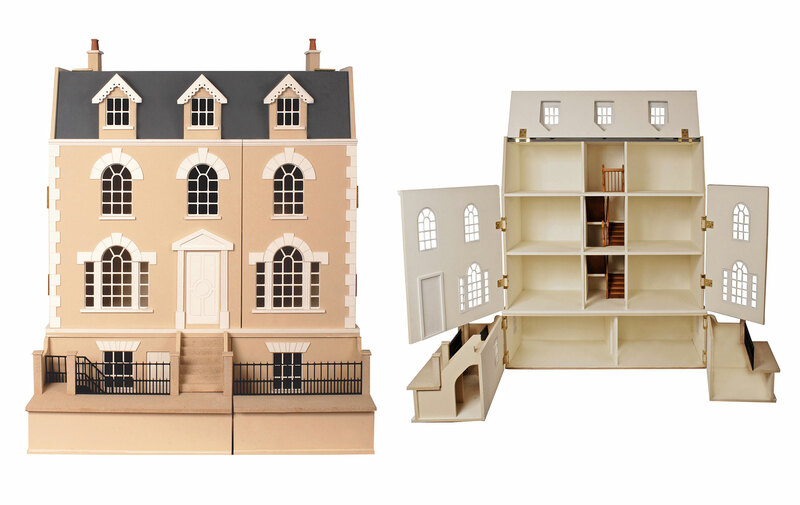 Aldi’s Little Town Wooden Doll’s House costs just £29.99 and comes in two different designs. It’s easy to assemble and has three storeys, just like The Dolls’ House Workshop’s Ash House. While the design is perhaps not as chic, it is still very charming and you can let the kids play worry-free with it knowing that is hasn’t broken your bank balance! Will you be heading out to try and get one of Aldi’s wooden doll’s houses? They’ve sold out online so you’ll have to try your local store!